We are close family unit where mum cooks and kids do everything else! 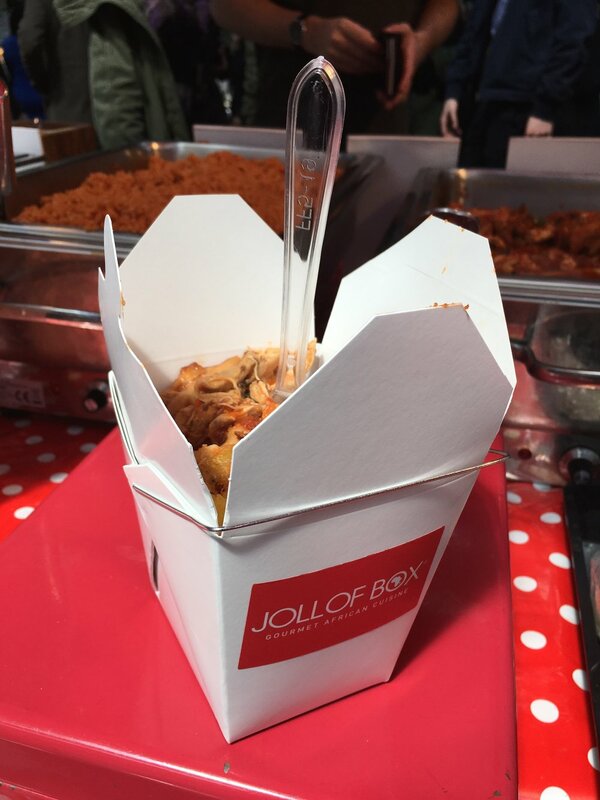 Jollof Box was born out of love and frustration. Love that a son has for his mum, A mum who not only loves cooking for her family but has a culinary gift that few can match. Also frustration at lack of African Casual Dining / Grab ‘n’ Go outlets in UK. We love Jollof Rice, we are specialists, pioneers, explorers...what ever you want to call us we love the stuff! Jollof Rice is a sumptuous aromatic celebratory rice dish that mum has been cooking for over 40 years and comes from a closely guarded family recipe passed on from her grandmother. Our aim is to share the joy of Jollof rice and African cuisine with all communities. We believe we have an opportunity to disrupt the casual dining scene and show that African cuisine can thrive on the food scene.